One of the best ways I know to beat the January blues is shop the sales. Online shopping is fun, but sometimes you can't beat mooching around the shops. I always have a plan when hitting the sales. I look for things I saw before Christmas that I liked but either couldn't afford or couldn't justify buying. Handbag from Store Twenty One - I do love a big bag to throw everything in. A good old Primark bag - I've been wanting something big enough for ages to carry folders and my tablet around and this will be perfect. 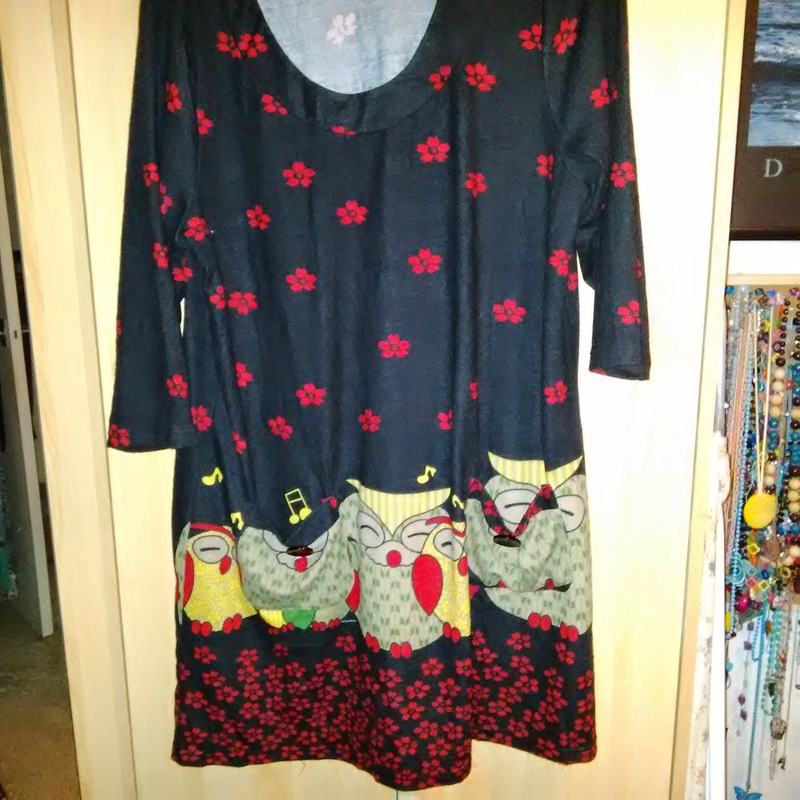 A couple of tops from the Simply Be sale - the Joe Browns owl tunic - this was my normal 22 and fitted perfectly. 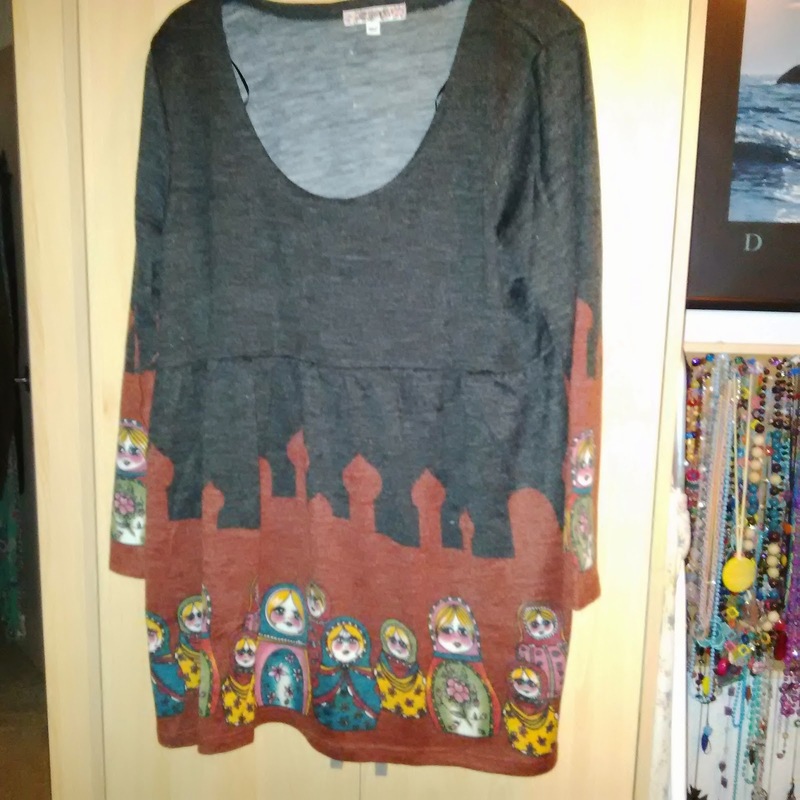 The Russian Dolls tunic - they only had size 20 available so I crossed my fingers and ordered it anyway - and it fits!! So very happy bunny here. That's my January sales haul. I didn't realise I had bought so much until I did this post - guess I had better be good for the rest of the month!